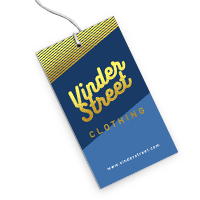 Attract attention with creative & informative hang tags. 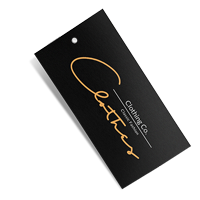 Hang tags are essential to closing a sale or continuing a customer’s loyalty after the sale. They are a source of necessary product information, from how to wash the item to your company’s production process. 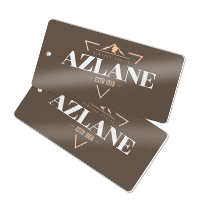 Design your hang tags according to your preferred size, shape, color, and texture. 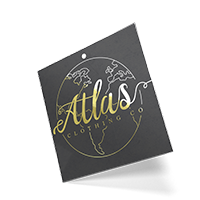 Our custom hang tags come in 9 sizes for a square or rectangle, along with 2 sizes for the circle and oval shapes. 10 pt. Cardstock is the lightweight option and comes with gloss, matte, or high gloss UV coating. 14 pt. cardstock has the same thickness as a standard business card and can have one side uncoated for balance. 16 pt. cardstock is the thickest and most durable material available.